There are currently 98,292 users on this website. 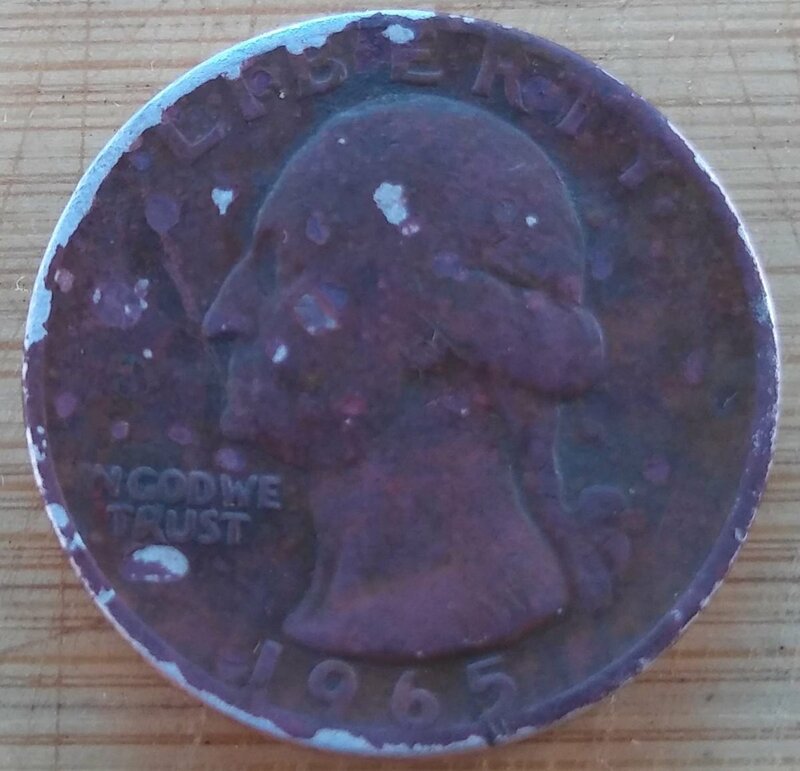 Hi is my 1965 quarter valuable? Color and printing looks bit off. Is it garbage or I'm looking at something special? I split your post to the appropriate section for the proper attention. Nothing seems to make the coin have any value. Just so you know, quarters past the date of 1964 have some silver content in them, that's when they become more valuable. He said "quarters after 1964 has silver in it so makes it more valuable." Well what year is 1965? I think his wording was a little off. The last silver US quarter for circulation has the date of 1964. Circulation quarters starting in 1965 are clad. Oh ok I see. If you look under magnify and zoom closer I think can notice error. Like the word (LIBERTY) has shadow print like double print? That is most likely Machine Doubling (MD). Can you post a closeup of that area? @snooploc, first welcome to CCF. Second, even if there is minor Machine Doubling, the damage and wear to this coin mean that it is only worth face value. Yep sorry, my wording was off, I just woke up when I typed that. Toxic coin - spend it! As stated, worth 25 cents. Spend it. Also coins are not printed, paper currency is printed. Yes that coin has seen better days. Lots of what appears as damaged.